If you or someone you know is experiencing homelessness, we can help. To learn more about our emergency and recovery services, please call us at (213) 347-6300. Union Rescue Mission’s Board of Directors is a diverse governing board of highly qualified Christian professionals representing a wide range of experience and backgrounds. They offer governance, guidance, accountability, and support to help URM achieve our mission. The URM Board members selflessly volunteer their time, talent, and treasure to help fight homelessness in LA. 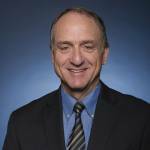 Named Chairman of the Board in January 2004, David Dow has been a member of the URM Board of Directors since 1997. Originally introduced to Union Rescue Mission as a reporter on assignment, Dow brings a unique perspective to the board as a 38-year veteran of print and broadcast journalism. Witness to many landmark events, Dow has developed a deep sensitivity for human distress. He joined CBS News as a correspondent in1972, covering stories in more than two dozen countries on three continents, including the early stages of revolutions in Nicaragua and El Salvador and the battle for human rights in Latin America as well as the exodus of refugees from Cambodia in 1979. Dow shared in a network “Emmy” award in 1988 for a “48 Hours” program on Los Angeles street gangs and was named “Broadcast Journalist of the Year” for 1994 by the Greater Los Angeles Chapter of the Society of Professional Journalists. He is co-author of the book, “Cameras in the Courtroom: Television and the Pursuit of Justice.” Dow has taught at USC’s Annenberg School of Journalism and at California State University – Northridge. Dow shares his well-developed expertise since his retirement from CBS News in 2001. The third-generation California native is a graduate of Stanford University, an elder of Bel Air Presbyterian Church, father, and husband of Dr. Nancy Edwards, a retired professor of pediatrics at the L.A. County-USC Medical Center. He is a former Trustee of Fuller Theological Seminary and is a U. S. Navy veteran who served on the carrier USS Enterprise during the Cuban missile crisis. Caryn Ryan joined the Board of Directors of Union Rescue Mission in November 2008. 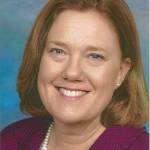 She also serves as a member of the Mission’s Finance and Audit Committee. Currently, Caryn is working as founder and a managing member of Missionwell LLC, which provides finance, accounting and treasury and other support services to non-profits. 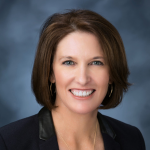 Past employment includes working as a senior financial executive at Amoco Corporation where she was involved in finance, accounting, treasury, strategic planning, reengineering, shared service and other activities. Caryn also worked at BP, as CFO of BP’s global oil trading operations. While at BP, she initiated and formalized global shared services while improving critical aspects of management information, and initiated external benchmarking as a means of taking Oil Trading to world class standards. After leaving BP, she felt called to the Christian non-profit world, and joined World Vision International as CFO. While at World Vision, she established a global change initiative spanning financial accountability systems and governance, shared services, and strategic planning. After leaving World Vision, she founded Missionwell LLC, Caryn has an undergraduate degree in Economics from Albion College (Albion, MI) and a MBA in Finance from Northwestern University (Evanston, IL). Caryn is the mother of two wonderful children. She is a member of the board of directors of two other Christian charities and is an elder at La Canada Presbyterian Church. J. Scott Watt became a member of the Union Rescue Mission Board of Directors on February 28, 2000. He is currently President/CEO of the Watt Group of companies, which, with its subsidiaries, is developing five master-planned communities and building over 300 houses per year. This diversified real estate development and building company has overseen the development of new homes for over 100,000 families, eight million square feet of industrial and professional office space including Watt Plaza, a two-story, twin office complex in Century City, 50 shopping centers, three major first-class hotels and many master-planned communities in testament to a commitment to our nation’s growth. 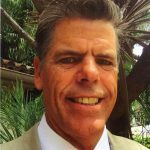 Scott is, or has served as a Board Member for the Greater Los Angeles Zoo Association, Chairman for Christian Associates, Los Angeles, and the Board of Brentwood School. He is a Founder of the Museum of Contemporary Art, past Chairman of Board of Counselors for USC Dworak-Peck School of Social Work, and current member of Board of Advisors for USC Marshall School of Business. He is an Elder of his church and a member of its Counseling Center’s Board of Advisors. He earned his Bachelor’s degree at USC and Masters in Education, emphasis in Counseling, at the University of Miami. Jeff Hudson, Senior Vice President and Managing Director of Walker & Dunlop, began his professional career in Real Estate Finance in 1978. In 1992 Hudson joined the George Elkins Mortgage Banking Company as Chief Executive Officer. In 2016 he and his partners sold the company to Walker & Dunlop. Hudson has arranged more than $10 billion of Debt and Equity in the financing of properties across the country. Hudson graduated from University of California at Santa Barbara where he received his B.A. in 1974. He subsequently attended Woodland School of Law, where he received his Doctor of Jurisprudence in 1978. The State of California admitted him to practice in 1978, and the following year he was admitted to practice before the Supreme Court. In 1979, Hudson received his certification to teach the subjects of Law, Banking, and Finance at the Community College Level. More recently Hudson has been enrolled in the Masters of Education program at Mount Saint Mary’s in Los Angeles. 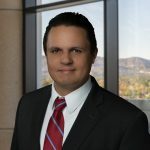 Some of his memberships in professional associations include the California State Bar, The Mortgage Bankers Association of America, and the Commercial Real Estate Secondary Market and Securitization Association. He is a former member of the Faculty of the Practicing Law Institute in San Francisco, and a former member of the Board of Directors of Kennedy Wilson International. Hudson and his wife, Sandy, attend Calvary Church in Pacific Palisades where he has served as an Elder. They have three grown children. Kevin Dretzka is a private equity investor active in real estate, oil and gas, renewable energy, and service company investments. 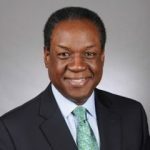 Prior to becoming a private equity investor in 2004, he was a Managing Director of Eastdil Realty (now EastdilSecured), a real estate investment banking firm which became a wholly-owned subsidiary of Wells Fargo in 1999. Between 1987 and 2004 while at Eastdil, his resume totaled $6 billion in debt and equity transactions completed throughout the United States. Prior to joining Eastdil, he was a vice president of Heron Properties, a private London-based real estate firm. In addition to the Union Rescue Mission board, his community positions include the UCLA Health System board and chairman of the American Youth Symphony board of directors. He received his B.B.A. and M.S. degrees from the University of Wisconsin. Kevin and his wife, Silvia, have two children and reside in Los Angeles. Edward A. Smith was born in Los Angeles, California. He received Jesus Christ as his personal Savior in February 1973. He spent the first eleven years of his Christian life sitting under the teaching ministry of Dr. Frederick K.C. Price, Founder/Pastor of Crenshaw Christian Center, Los Angeles, California. Edward Smith spent seven years as an instructor of Zoe Christian Leadership Training Center and served as an Elder and Executive Board member of Zoe Christian Fellowship of Los Angeles. He started Zoe Christian Fellowship of Cerritos in 1989. In 1995, Pastor Ed and the members of Zoe moved to their present church complex in Whittier, thereby becoming Zoe Christian Fellowship of Whittier. Pastor Ed earned a B.A. in Applied Mathematics and a M.B.A. in Marketing/Finance from UCLA. He is sought after as a speaker for conferences and seminars in the U.S., as well as abroad. He was invited to Russia in 1995 to participate in training the staff of the fourth largest bank in Russia. His speaking/ministry engagements have taken him to Japan, Puerto Rico, Guatemala, and South Africa. Pastor Ed is the founder of the Zoe School of Economic Development, an entrepreneurial course for those seeking to be successful in business, which was featured on Warner Brother’s Making It, a program devoted to highlighting the accomplishments of minority entrepreneurs. Pastor Ed led the first South African government-sponsored trip of Black entrepreneurs to South Africa. CNN Headline News spotlighted him for his ministry involvement in South Africa. All Nations Academy of Excellence was founded for infant care and preschool to provide a strong Christian and academic foundation for success. Pastor Ed is the former Chairman and current Board Member of the Evangelical Christian Credit Union, the largest financier of church and ministry loans in the United States, with over $1 billion under asset management. He serves as the Board Chairman of Window International Network. Based in Colorado Springs, Colorado, Window International Network is focused on bringing the Gospel to the nations within the 10/40 window. In 2004, he was elected to boards of the Christian Management Association and the Union Rescue Mission. Pastor Ed and his wife Vanessa Smith have been married since 1975 and are blessed with four wonderful children, three sons: Joshua and wife Marsee; Eddie, Aaron, and one daughter: Naomi. W. Cedric Johnson joined the Union Rescue Mission Board of Directors on April 25, 1994. He was elected as Chairman of the Board in January 2002 and served until January 2004. 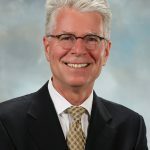 Mr. Johnson is Founder and President/CEO of Quantum Digital Solutions, a high technology applied science firm specializing in the design of communications computer architectures. He is a graduate of the Claremont Colleges where he majored in Applied Mathematics and Management Engineering, and was twice elected a student body officer. His professional employment experiences have included terms with the Los Angeles County Engineer and Rockwell International, where he worked in an Operations Research and Systems Integration Think Tank. Mr. Johnson is active in his local and national church and has also served on numerous corporate and community related boards: The African American Center for Educational Excellence, California Consortium for Transportation Research, Claremont College Alumni Association and the National Association of Minority Businesses, to name only a few. John Campa became a member of the Union Rescue Mission Board of Directors in 2005. He is currently working at Revel8tion Media. He was formerly the General Sales Manager for Radio Nueva Vida (New Life), representing a network of 23 stations from Salinas to Tijuana, Mexico and the first 24 hour Spanish Christian radio station in Los Angeles. Having felt thirst and lack of water himself, Campa takes to heart the Lord’s call to take care of the poor, the widow and the orphan, and to give water to those who cry out. He earned his Bachelors in Organizational Leadership from BIOLA University. Campa’s heart for the poor extends beyond the Board room as he enjoys working with the poor in Tijuana, Mexico in his spare time, in addition to playing sports with his children. Lisa Meeske Sloan was born the youngest of four children in Detroit, Michigan. She’s received a BFA from the University of Michigan and married Tim Sloan in 1982. She worked at Valassis Printing Company in the design department for two years. The Sloan’s moved to Chicago in 1984, where Lisa worked as a graphic designer for Handelan – Pedersen. In 1987 they moved to the San Gabriel Valley. Lisa worked for the next 25 years as a stay at home Mom to their three children. During those years she volunteered for the San Marino public schools, San Marino Community Church and Nursery School, San Marino National Little League, National Charity League, and the local Girl Scout and Boy Scout programs. After becoming an empty-nester, Lisa started a small home renovation business called Silk Purse Renovations, LLC. She is presently an elder and chair of the Worship Committee at San Marino Community Church and a board member of Villa Esperanza Services in Pasadena. Cary Mitchell joined the Union Rescue Mission Board of Directors in 2014. He is a Professor of Psychology in the Graduate School of Education and Psychology at Pepperdine University. During his three decades at Pepperdine, he has served as an Associate Dean in the graduate school and also as the Director of Clinical Training for the university’s Doctor of Psychology program. Currently he teaches courses in psychological assessment and chairs dissertation research. Dr. Mitchell is the founding co-director of the Jerry Butler/URM-Pepperdine University Community Counseling Center at URM. Since 2001 he has been actively involved in co-directing and supporting URM’s mental health clinic. He has authored multiple grants that have provided funding for the center. From 2001 to 2015, over 90 clinical psychology doctoral students from Pepperdine completed traineeships at the URM-Pepperdine counseling center. Dr. Mitchell is committed to supporting URM’s efforts to provide needed services to homeless and poor persons in the inner city. A 1976 graduate of Pepperdine University, Dr. Mitchell holds M.A. and Ph.D. degrees in clinical psychology from the University of Kentucky. He is a licensed psychologist and does consulting in the area of pre-employment psychological evaluation. He is married to Sharon Scott Mitchell. Cary and Sharon are the proud parents of three daughters, all of whom are Pepperdine graduates. Robert (Rob) Eitel started a Home entertainment company that specializes in Home Theater and Whole house control in 1981. His company “Roberts Home Audio and Video” has been recognized as one of the top custom installation companies in the U.S.
His work has been featured in over 15 magazines including three consecutive Robb Reports “Ultimate Home” front cover issues. He has been awarded “Home Theater of the Year” from the CEDIA group as well as from IIDA the 1999 Calibre Award for Technical Achievement. Robert is a member at Journey of Faith in Manhattan Beach, and enjoys yearly mission trips in the mid west and building homes in Mexico. Robert and his wife Jaynee of 34 years are proud parents of their two sons Jay and Derek who work and manage the family business and are taking it to new heights. Roberts favorite pastimes are hiking with Jaynee and surfing with his two sons. Karen Preston joined the Board of Directors of URM in November 2016. She serves on the Program Committee and maintains an active role as a volunteer teacher and mentor at Hope Gardens Family Center. In 1992, Karen and her husband, Mike, moved to Melbourne, Australia, and so began the years of raising a family and volunteer work serving children including American Women’s Auxiliary of the Royal Children’s Hospital (Melbourne, Australia), two terms of service on the San Marino Unified School District Board of Education, Two Hearts Foundation, Spiritual Care Guild for Children’s Hospital Los Angeles, Young Life, and Lake Avenue Church. She Co-Founded & Co-Owned Lizzie Driver, a women’s golf apparel brand. She received a B.S., Kinesiology from UCLA, where she met her husband during a weekend Campus Crusade retreat at Lake Arrowhead. Karen and Mike have been married since 1988 and have two grown sons, Danny and Steven. David Wood is a retired Executive Director and Senior Client Executive of JP Morgan Chase in the Real Estate Banking Group. In that roll, he cultivated and managed relationships with top tier institutional and private real estate developers/investors and provided comprehensive solutions for their debt, capital markets and commercial banking needs. David’s career in commercial real estate finance and banking began in 1979 at Chase Manhattan Bank in New York. In 1980, he was asked to relocate to Los Angeles to help establish the bank’s first real estate loan production office outside of New York City. During his long tenure with the firm, David served in a variety of senior positions including Director of Commercial Property Lending, Regional Executive for the Pacific Coast, and National Head of Underwriting for Real Estate Banking. He is a former member of a number of local and national real estate organizations and has served on the Board of Directors of the Urban Land Institute-Inland Empire Chapter; Free-N-One, a national substance abuse prevention program; and the Board of Trustees at West Angeles Church of God In Christ. Currently, David is an author, mentor and advisor with a commitment to promote faith-based financial literacy and is active in the pursuit of solutions to end homelessness. He is a native Bostonian and a graduate of Boston University with a Bachelor’s degree in finance. He loves to cook, earned a degree in culinary arts, and ran his own catering company for a short period of time. David and his wife Lorene have been married since 1980. They have two adult sons, Christopher and Jordan, and two grandchildren. Francisco J. Leon is Executive Vice President, Corporate Development & Strategic Planning at California Resources Corporation, the largest oil and natural gas producer in California. Francisco is responsible for the company’s capital allocation process and business development initiatives including mergers and acquisitions. He has over 18 years of experience in the oil and gas industry, and expertise in a multitude of disciplines, including Management, Corporate Finance, Economic Evaluation, Domestic and International M&A Transactions and Planning. Mr. Leon holds a B.A. in International Business from San Diego State University where he received distinction in his major, a B.A with highest honors from International Business at Centro de Enseñanza Tecnica y Superior (CETYS) in Tijuana, Mexico, and an M.B.A. from the University of Texas, Austin. Francisco and his wife, Brenda, have two children and reside in Valencia, CA. Sign up to receive heartwarming stories, updates, and more delivered to your inbox. We embrace people with the compassion of Christ. How often would you like to make this gift?